s = 15.1383σ & 14.3614σ for sample & total population respectively for the dataset 5, 10, 15, 20, 25, 30, 35, 40, 45 and 50. 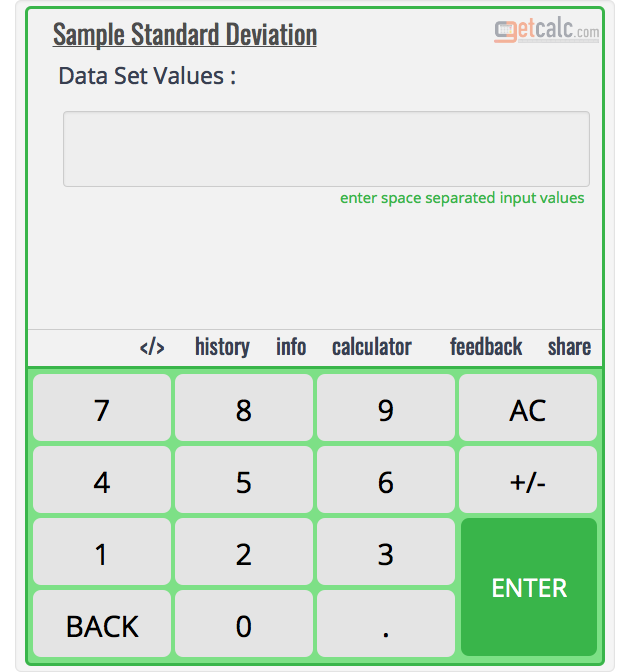 The complete work with step by step calculation for 5, 10, 15, 20, 25, . . . . , 45 and 50 may helpful for grade school students, beginners or learners to solve the similar standard deviation worksheet problems to estimate the degree of uncertainty, or how much the whole members in a group deviates from its mean or common behavior of sample data distribution, to draw the conclusions of population data distribution to improve the quality of process. Estimate Degree of Uncertainty for 5, 10, 15, 20, 25, 30, 35, 40, 45 and 50? 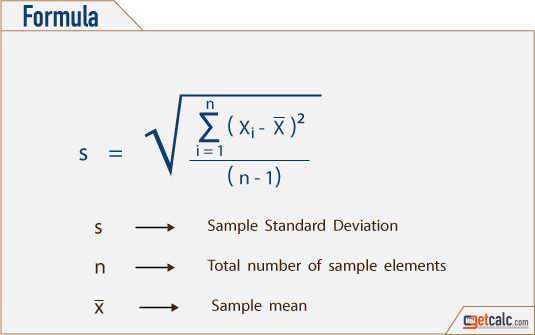 The below workout with step by step work or calculation may help users to understand how to estimate what is the standard deviation for the data set 5, 10, 15, 20, 25, . . . . , 45 and 50 to summarize the degree of uncertainty or linear variability of whole elements in a group of sample elements, to draw the conclusion about the characteristics of population data in the statistical experiments.